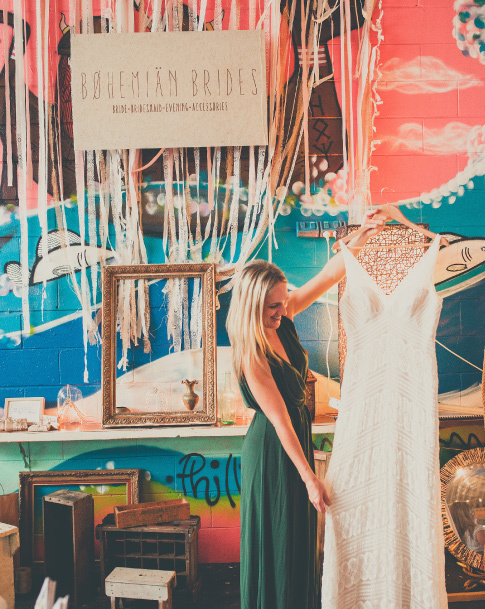 Market style wedding fairs for South East Queensland. Here are some words to help you get in the mindset of what it’s all about: festival, experience, fun, feast, spectacle, bright, colourful, and ultimately, inspiring. Think live entertainment, delicious food and drink vans & caterers, fashion parades, chill out zones to soak in the atmosphere & so much more. A Darling Affair is a visual feast that will leave your jaw dragging along the ground. It is an explosion of on trend inspiration and even styles/suppliers that haven’t even crossed your mind. The wedding suppliers you will meet at A Darling Affair are hand picked in each region especially for our ‘darling’ loved-up couples and their entourage. They're perfect for couples who are creative, fun, bold and who don’t think in between the lines. Our vendors are there on the day to help provide inspiration, and to help you create a wedding day with a different edge. A Darling Affair is your one stop shop for all those wedding suppliers you see gracing the pages of Facebook/Instagram and Australian wedding magazines. Make your wedding planning fun and enjoyable and grab a ticket to our next event. We’d love to see you there! A Darling Affair is held in Brisbane. We hold one fair per year so be sure not to miss the date! Find out more from the venue link below.